Future Detainee Prison Will Go Beyond 'Supermax' The White House plans to transfer a limited number of detainees from the Guantanamo Bay detention facility in Cuba to an underutilized state prison in rural Illinois. It will be transformed into a facility that will "exceed perimeter security standards at the nation's only 'supermax' prison in Florence, Colo.," officials say. 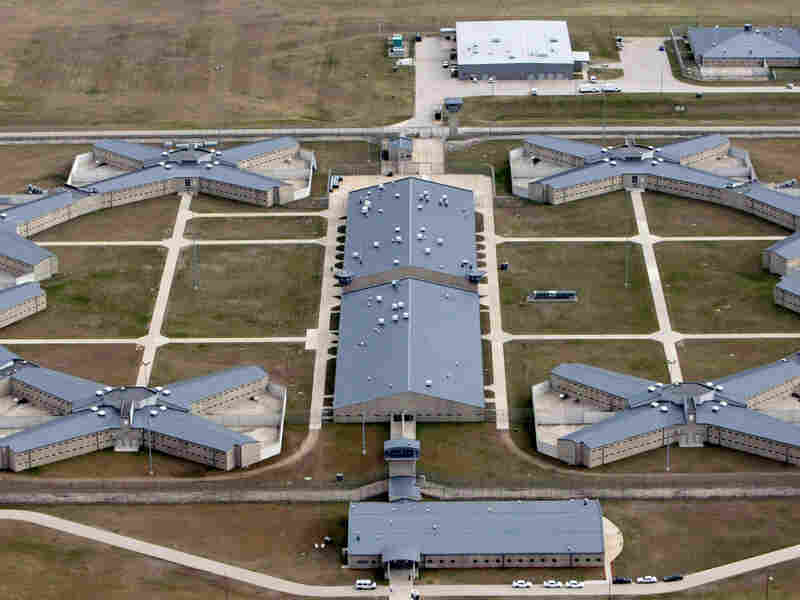 The 1,600-cell Thomson Correctional Center in Thomson, Ill., was built in 2001 as a state prison with the potential to house maximum-security inmates. It now houses about 200 minimum-security inmates. The White House said Tuesday that it will transfer a limited number of terrorism suspects from the Guantanamo Bay detention center in Cuba to a prison in rural Illinois, prompting swift criticism from Republicans worried about increased security risks on U.S. soil. Officials say federal inmates and no more than 100 detainees would be housed at the maximum-security Thomson Correctional Center, located about 150 miles west of Chicago. The Obama administration says the prison could be used for detainees awaiting military trial or for those who can't be released under any circumstances — but only if Congress agrees to change the law. The government will acquire the underutilized Illinois prison and transform it into a facility that will "exceed perimeter security standards at the nation's only 'supermax' prison in Florence, Colo.," according to a letter to Illinois Gov. Pat Quinn signed by Secretary of State Hillary Clinton, Defense Secretary Robert Gates, Homeland Security Secretary Janet Napolitano, Attorney General Eric Holder and Director of National Intelligence Dennis C. Blair. Those departments "will work closely with state and local law enforcement authorities to identify and mitigate any risks" at the prison, the letter stated. It also made clear that President Obama "has no intention of releasing any detainees in the United States." Speaking after a briefing with White House officials on Tuesday, Illinois Sen. Richard Durbin and Quinn cast the decision to accept Guantanamo detainees as an act of patriotism — one with the added bonus of job creation. "Time and time again, the people of Illinois have risen to the task," Durbin said. "We believe this is in service of our country." White House National Security Adviser James Jones said shifting detainees to Thomson would make the United States more secure and removes "a recruiting tool that Guantanamo Bay has come to symbolize" for terror organizations. Senate Minority Leader Mitch McConnell of Kentucky condemned the administration's plan, saying the American people "already have rejected bringing terrorists to U.S. soil." He accused the White House of failing to explain how transferring some of the detainees to the U.S. would be safer than keeping them at the U.S. Navy-run facility in Cuba. Shortly after taking office, Obama signed an executive order directing the closure of the Guantanamo Bay military prison. However, the task of figuring out what to do with about 215 terrorist suspects there has proven both legally and politically difficult. The White House says detainees can be held safely and securely on U.S. soil, but some Illinois officials say the risk is too great. Republican Rep. Mark Kirk, who is seeking Obama's former U.S. Senate seat, opposes the move. Kirk has lobbied other officials to contact the White House in opposition to using the facility. State Rep. Jim Sacia says he isn't thrilled about the prospect of detainees in Illinois, but he disagrees with the safety concerns of his GOP colleagues and says the focus should be on the potential economic benefits. "I have no doubt in my mind, having sat through several very significant briefings, that keeping the Gitmo prisoners segregated from the remainder of the 1,600 maximum-security prisoners will be handled professionally by the military," he said. Illinois Democrats have enthusiastically embraced the idea of turning the prison over to federal officials as a way to create jobs in a state with roughly 11 percent unemployment. Sen. Roland Burris said transferring Guantanamo detainees will be "a great economic benefit to the state by creating over 3,000 well-paying jobs and bringing in valuable federal dollars to fund local facility operations." He added that he had "full confidence that the facility will hold these terrorism suspects safely and securely." Thomson Village President Jerry Hebeler got the news late Monday that his town of 450 residents had been chosen as the site to house detainees from Guantanamo. "It'll be good for the village and the surrounding area, especially with all the jobs that have been lost here," he said. The Illinois Department of Corrections is ready to transfer out the 200 minimum-security prisoners now housed at the Thomson Correctional Center in anticipation of handing it over to the federal government, IDOC spokeswoman Januari Smith said. Thomson was built in 2001 as a state prison with the potential to house maximum security inmates. Local officials hoped it would improve the economy, providing jobs to a hard-hit community. However, state budget problems have kept the 1,600-cell prison from ever fully opening. The facility was one of several sites evaluated by the Federal Bureau of Prisons for their suitability to house detainees from the prison at Guantanamo Bay. Other prisons — including those in Marion, Ill.; Hardin, Mont. ; and Florence, Colo. — also expressed interest in taking the Guantanamo detainees to keep prison employees working. In a Dec. 11 letter to Senate Republicans that was obtained by The Associated Press, Napolitano promised that former Guantanamo detainees' stay on U.S. soil would be temporary. She wrote that detainees would be treated for immigration purposes as though they were stopped at a U.S. border crossing post. If a detainee were brought to the U.S. for trial, that person could be tried, convicted, serve prison time or be acquitted, Napolitano said. Congress passed a measure earlier this year that would bar terrorism suspects from U.S. soil unless they were going to be prosecuted. Democrats plan to lift that restriction if the White House can show it has a secure plan for housing the inmates.